Richard Baines, Narwhal L∞p, 2015. Installed in a Penryn Museum display case alongside the Narwhal walking stick that inspired it. 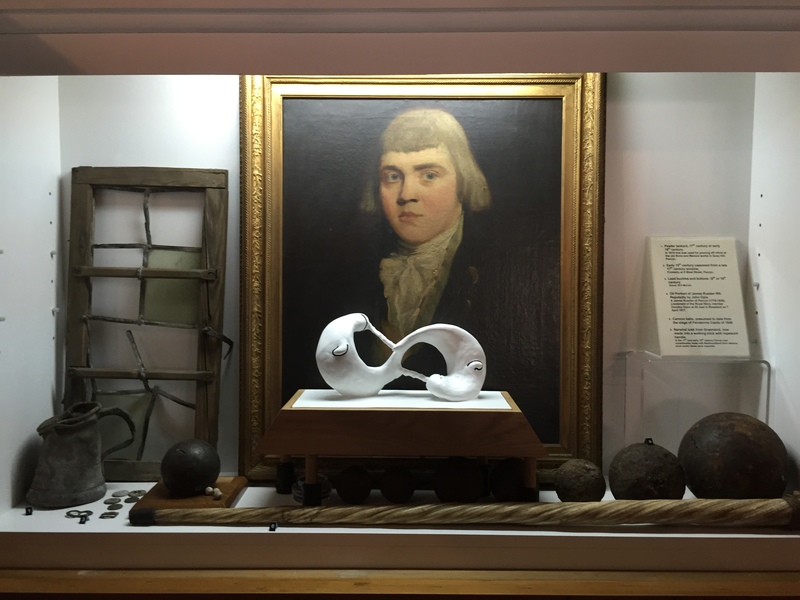 Artists Richard Baines and Matt Benington travelled through time and local history to make new work for Penryn Museum. Richard followed the travels of a narwhal tusk from Penryn to Canada and back to Penryn; discovering shanties that chart early voyages to Newfoundland. These were performed by local shanty singer Viv Robertson at the launch event. Matt’s journey into the museum’s collection focused on discovering the stories and faces of the town; his large scale etching is based on an old photograph of Penryn Town Hall and Museum.Richard Baines, Narwhal L∞p, 2015. Installed in the Penryn Museum case which holds the Narwhal walking stick that inspired it. During the exhibition Field Notes are running a programme of events called the History Laboratory. More events to be announced soon, to stay in the know follow us on Twitter or Facebook. These projects are supported by a New Opportunities Award, as part of New Expressions 3 a national Arts Council England pathfinder project. It aims to unlock the creative potential of museums by enabling them to work collaboratively with and commission new works by contemporary artists in response to their historic collections. Located in the centre of Penryn, this museum of curiosities is housed in the old Market House. The historic port of Penryn is one of the most ancient towns in Cornwall, pre-dating its near neighbour Falmouth. Situated on the Penryn river and Fal estuary, the town was mentioned in the Domesday book in 1086 and has a rich and varied history. 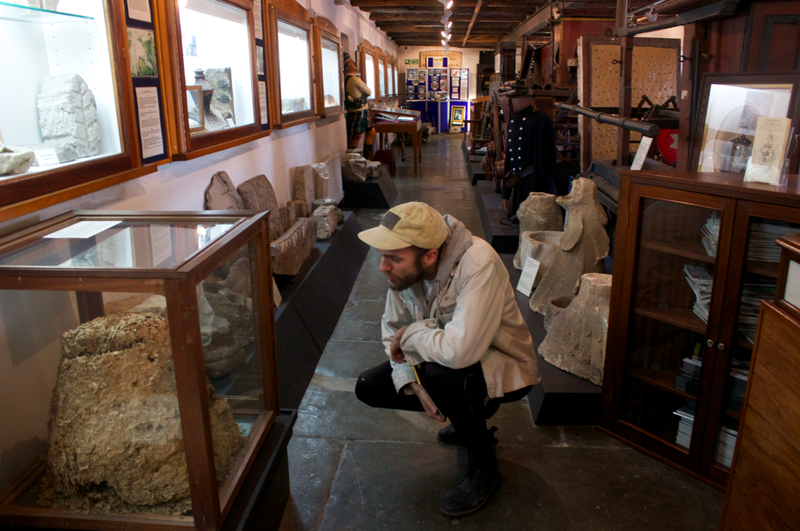 Penryn Museum’s collection links to the industry of ancient ports. Its connotations of the foreign and the faraway, alongside the narrative of an old and close-knit Cornish community.